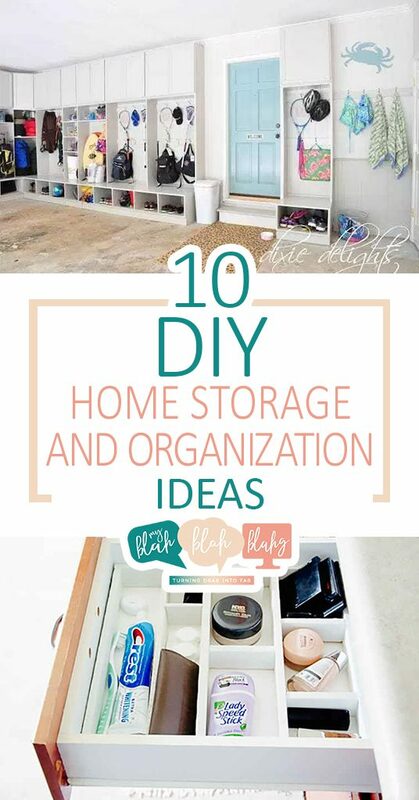 Get rid of the mail junk pile, the pen jar, and the confusion with a home command center. Every one will know their schedules, what’s for dinner, and where to find an extra pencil. 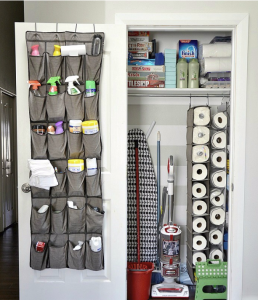 Keep all of your cleaning supplies in one organized space. You can lock it up to make sure tiny tots don’t get into any chemicals. Never again scower crowded drawers for the teaspoon measurements when your baking supplies are all kept in one tidy cupboard. Food gets lost inside the fridge, leaving it to be forgotten and to spoil. 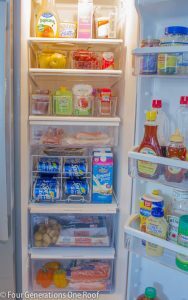 Organize fridge items to always know where to find things before it’s too late. 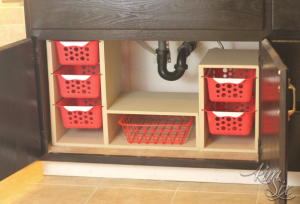 So much space is wasted by stacking bathroom items on one flat surface beneath your sink. 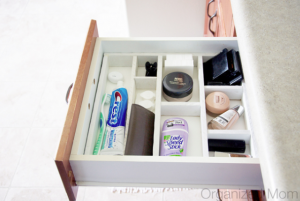 Create pull out drawers to fit more into one space without creating a disastrous pile of beauty products. Laundry is the last chore most of us save on our to-do list. 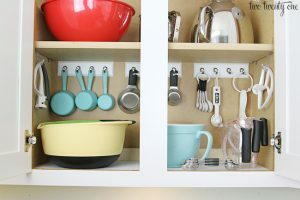 Make it a tiny bit more enjoyable by eliminating clutter before hand. 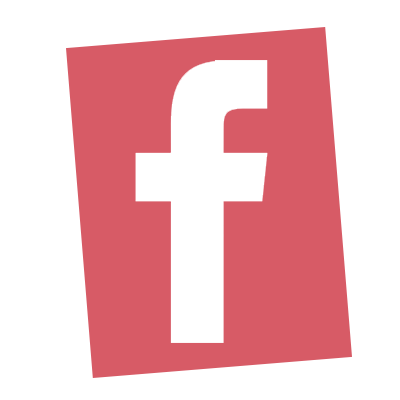 Your closet fills up quickly when things are tossed on the floor. 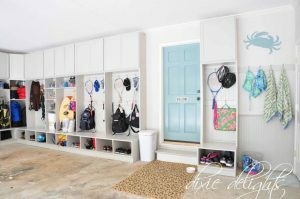 Create more storage space by installing cost efficient organizers like this blogger. 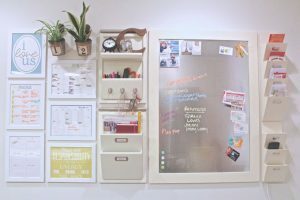 Make easy and cheap drawer organizers to custom fit any drawer in your house. 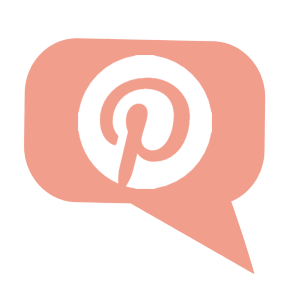 Bathrooms, junk drawers, silver and more will appreciate it. Shoes pile up in front of the door and on the floors of closets. 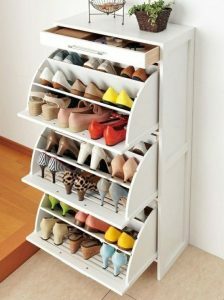 But it can all go away with a little bit of creative planning – and a shoe cabinet! 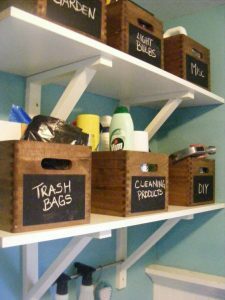 The garage tends to be the place where we store all the items we no longer want in our home, but can’t quite part with. 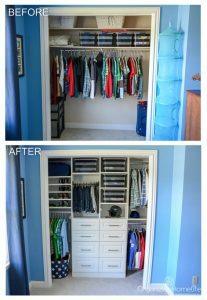 Clean it out and create built in storage space to eliminate clutter from your eyesight.